If your company has an employee matching gift program, you could double the impact of your gift to The ALS Association. For your convenience, we have provided a list of companies who match employee gifts (search list of companies here). Don't be discouraged if your company does not appear on this list; they may already have a matching gift program, or your gift to The ALS Association may inspire them to create one! If you would like to add your company's name to this list, please contact the Development Department at 888-949-2577. 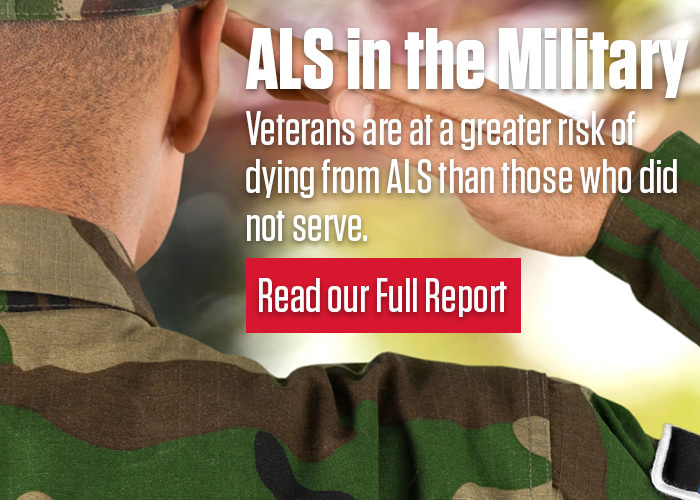 The ALS Association is recognized as exempt from federal income tax under section 501 (c) (3) of the Internal Revenue Code and is registered under statutory laws throughout the U.S. Gifts to The ALS Association are fully tax-deductible to the extent allowed under the Internal Revenue Code. The ALS Association's federal tax ID number is 13-3271855.